Allen Fly Fishing is a company that started in 2007 as a one person dream of utilizing and applying his experience in manufacturing and his contacts in creating fishing products that people enjoy immensely. The actualization of his vision after a while became a massive success to the point that so many Allen fly rods reviews online have nothing but good to say about the company’s products. 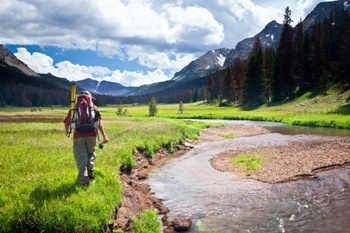 Fly Fishing is a method of angling wherein an artificial “fly” is used in catching fish. To use this method to catch fish, a fly rod, a weighted line, and a fly reel is needed. This particular product combines both a fly rod and a reel. In this review, you will get all the information required before making your purchase. Here is a quick recap on what we think of this fly rod. Comes with a carrying case. Warranty does not cover reels damage from saltwater. Regardless of if this is your first fly fish setup or if you want to change from your old gear, the Prelude is ready-to-fish combo that is made especially for you. The Prelude components are made from the same top quality materials as all other Allen products; an aluminum reel that is fully machined (not molded or die-cast), a top-notch graphite rod, and a floating fly line (weight forward). In fact, no other combo on the fly fish market provides fly fishing enthusiasts with a reel that is fully machined and a fly rod at such a dirt-cheap price. Furthermore, fly fishers who make use of this product are assured of its durability. The product was designed not only for it to be enjoyed while using it but also to enjoy fishing for a long while. If you go on the market today looking for a combo for fly fishing, you are most likely to get confused as there are several of these products. However, it is of utmost importance that you purchase the combo that is best suited to you and satisfies your interests. This Allen prelude review encompasses the specifications, features, pros, and cons of this product. It also includes the warranty program and some frequently asked questions about the product, all to guide you in purchasing this product. 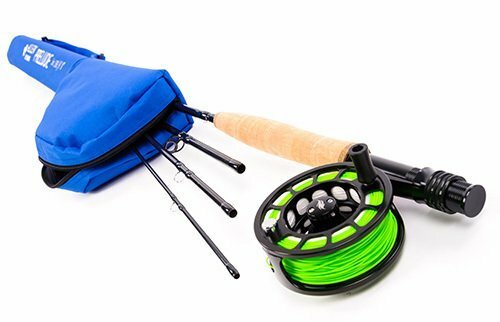 If you love the idea of one-stop shopping and you have been surfing the market for a fly fishing kit that got you covered, look no further than this Allen Prelude Fly Fish Combo Kit. 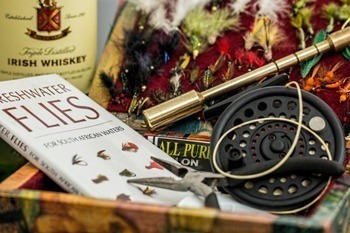 This kit has components of good quality that includes a fly rod, a fly line, a reel, backing, and a leader. One of the first pieces of equipment to look out for when purchasing any fly fish combo is the fly rod. Fly rods are like the magic wand of a magician, and without it, the magician is useless. Though there are tons of fly rods out there on the market, a fly fisher needs one that is dependable. The fly rod of this Prelude combo is fantastic. Furthermore, it is made with graphite and a 9ft 8wt feature that has been recommended for use by several Allen Ffy rods reviews. After considering the fly rod, you need an equally top quality reel to outfit it with. This Allen Prelude review recommends that fly fishers stay away from reels made up of composite or plastic materials, this is because they can easily be compromised. The best kind of reels are those cast in aluminum or fully machined from bar stock. The reel used in this Allen Prelude Fly Fish Combo is fully machined from bar stock which implies of its high quality, and it promises to last for a long while. Choosing smartly is advised if you need a fly fish rod for medium action. This is a medium action type fly fishing combo that is highly versatile, and it can be used in several diverse situations. More also, this product makes it very easy for those who are beginners in fishing. 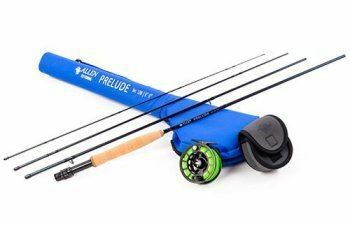 Some enjoy both fly fishing and backpacking, and this Allen Prelude can cater for both of these needs. It is manufactured from a sturdy yet light material, that is, a graphite rod and a full bar stock machined reel. It also includes a sturdy and fantastic neoprene carrying case that makes it easy to be transported and also allows for safe storage. The fly line of this product is weight forward which means that it is very easy to cast and it has a tapered leader of up to 9 inches which adds to the effectiveness of fishing experience. Considering the top-notch quality of all the components which make up this product, it is still sold at an unbelievable price. As a result of this, those who are fly fishing enthusiasts but who do not have much money, (for example, college students) they are still able to purchase a top quality fly fishing kit with the money they have. Allen Fly Fishing guarantees this product. The workmanship and quality of this product are ascertained, and so Allen proudly backs it up with a warranty for all manufacturing defects and faults. Allen's lifetime warranty backs the reel of this product while a one-year limited warranty supports the rod of this Prelude Combo. To file for a warranty, the user must fill out the form on the Allen repair and replacement webpage. Incidental damages caused by wear and tear, alterations, saltwater or neglect are not covered by warranty but by the repair and service program of Allen for a fee. Interested in other brands, check out our review on the Best Fly Fishing Rods. It is a budget-friendly product. It is traveling friendly as it comes with a carrying case. Made with a top quality graphite rod. A lifetime warranty on the reel and a one-year limited warranty on the rod. Durable, fully-machined fly fishing reel, which is made of aluminum. Highly versatile medium action rod. Can be used by both beginner fly fishers and those who are advanced. 1. Where are Allen fly reels made? They are made in the U.S.A.
2. Is there a warranty on the product? Yes, there is a lifetime warranty on the reel and a one-year limited warranty on the rod. 3. Can I use this in the salt water? You can definitely use it for the salt water. However, you will need to clean it periodically as the reel is not waterproof. The Allen Prelude Fly Fish Combo stands out in the market as one of the best, and it is recommended by so many Allen fly rods reviews online. For those looking to step into fishing and don't want to spend a fortune on fishing tools, this is a perfect choice. 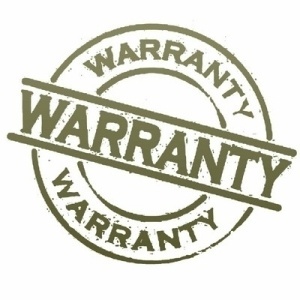 The warranty program is great, and the company stands true to their words. After checking and thoroughly reviewing this product, we rate it 4.7 stars of the possible 5 stars.